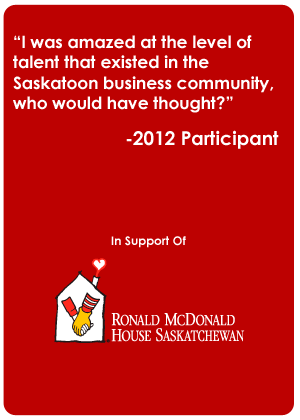 Over $100,000 Donated to Saskatchewan Charities in 4 years! Hundreds of pictures from the amazing 2015 Saskatoon Corporate Challenge! Check out the pictures here -http://daniellestasiukphotography.pixieset.com/guestlogin/corporatechallenge2015/ password is cc15. Want to download pics? Passcode is 5738! Huge thanks to Danielle Stasiuk for her talent and dedication, she’s amazing! Enjoy and share with your friends! $29,873.30 Donated to the Children’s Discovery Museum of Saskatchewan! So proud and excited to announce that on behalf of the Saskatoon Business community, we donated a total of $29,873.30 to the Children’s Discovery Museum of Saskatchewan through the Corporate Challenge! This donation brings the three year total donation to $79,217.05 to three Saskatoon Chairities! Stantec is the Winner of the Saskatoon Corporate Challenge Cup! WMCZ wins the Snooker Shack Spirit Award 2 years in a row! 2014 Sportsmanship Award goes to Scotiabank!